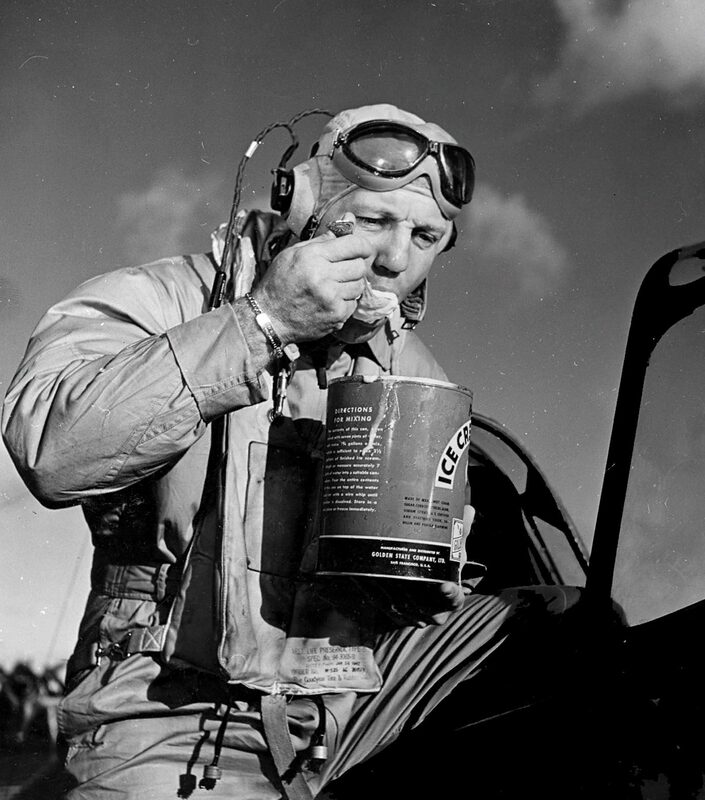 American naval pilot Commander Joseph C. Clifton eats ice cream, getting out of the cockpit of the fighter Grumman F6F Hellcat. 1944. The photo was taken on the Saratoga aircraft carrier (Saratoga (CV-3).